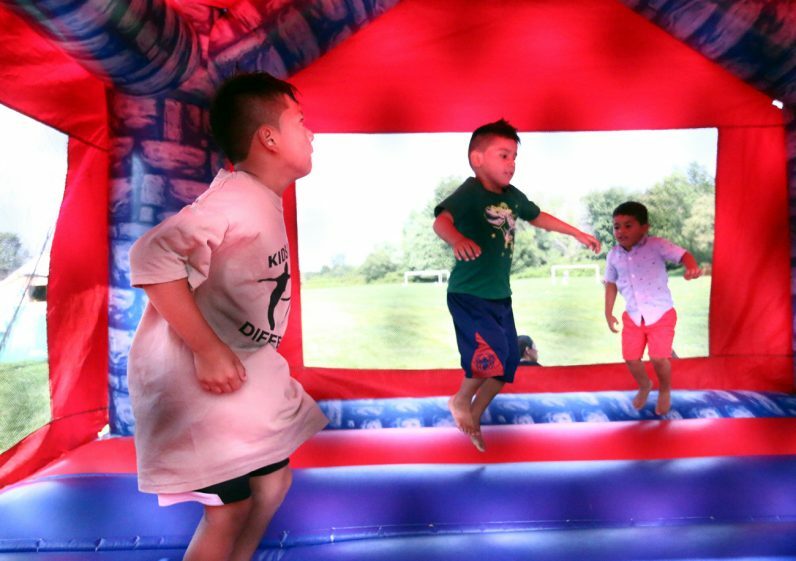 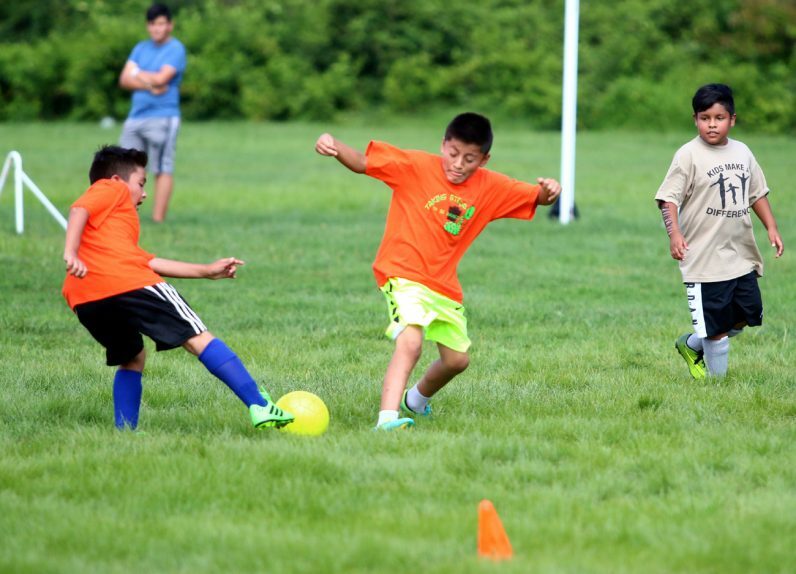 A Bensalem parish scored smiles with an Aug. 26 family fun day that featured soccer tournaments, moon bounces, face painting and a picnic that capped a six-week soccer clinic for children. 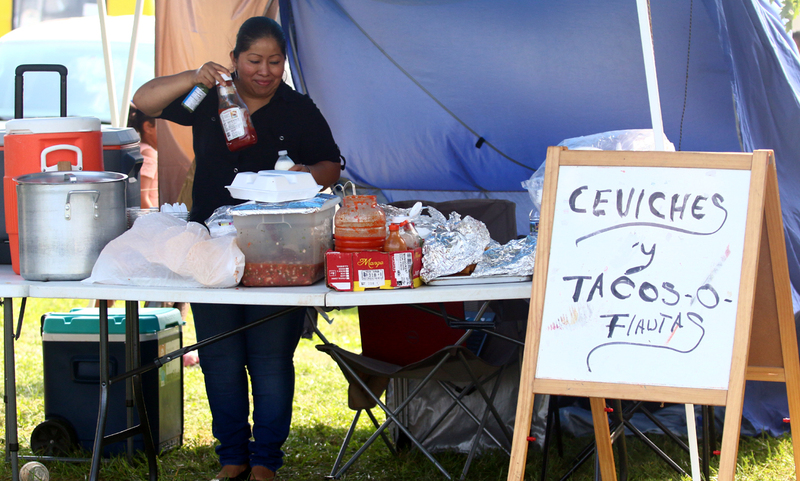 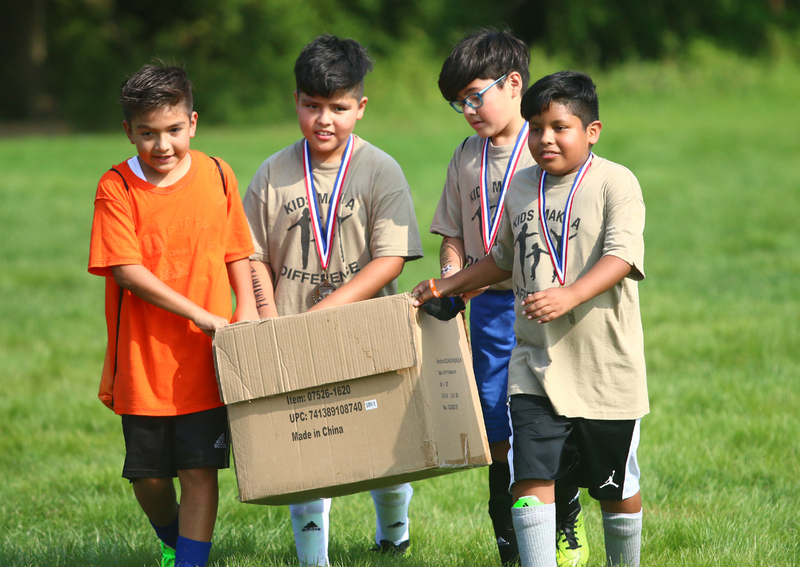 St. Charles Borromeo Parish partnered with archdiocesan Catholic Social Services (CSS) and the Catholic Campaign for Human Development for the event, which took place at the Our Lady of Fatima worship site on Street Road in Bensalem. 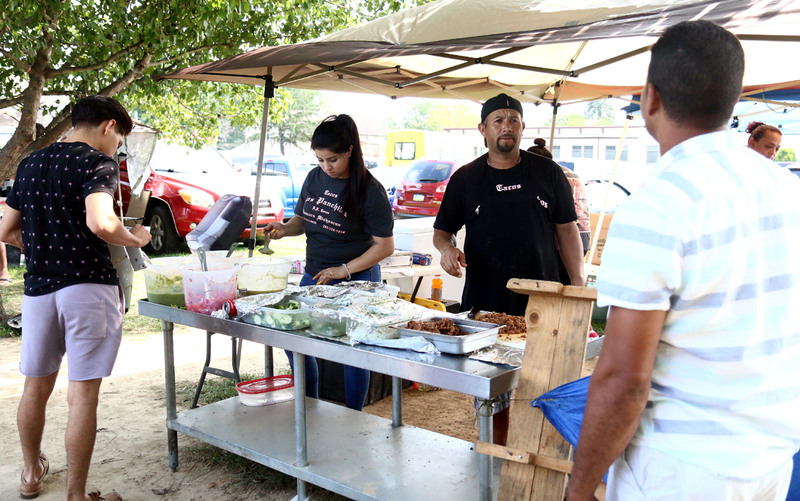 The location includes CSS’s Fatima Catholic Outreach Center, which provides parenting classes, English as a second language (ESL) and finance classes, a food and clothes bank, free legal services and community outreach among others. 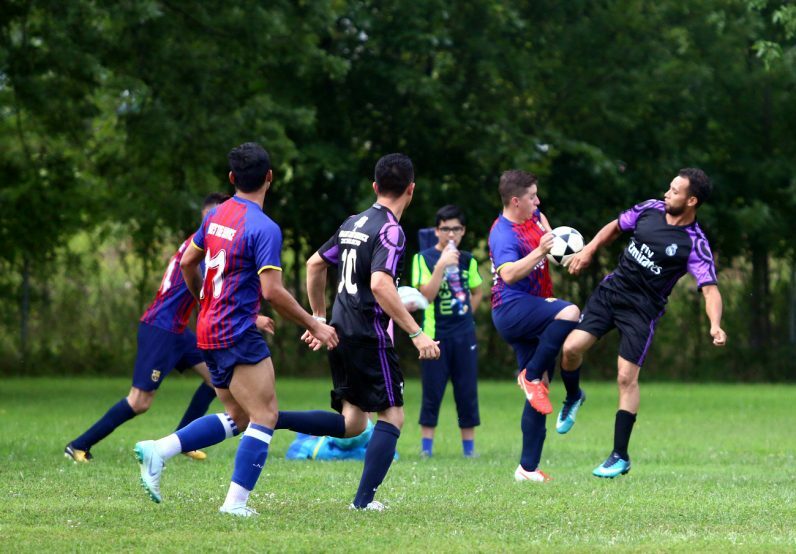 Children and adults competed in soccer tournaments throughout the day, which also featured a dunk tank, water balloons and sprinkler slides to keep attendees cool. 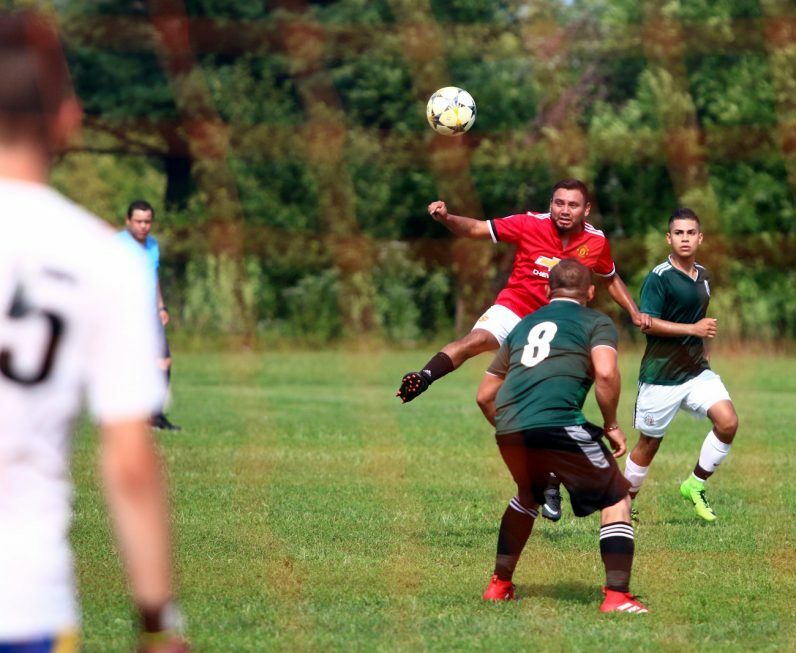 Participants vie for a goal during an Aug. 26 soccer tournament at St. Charles Borromeo Parish in Bensalem. 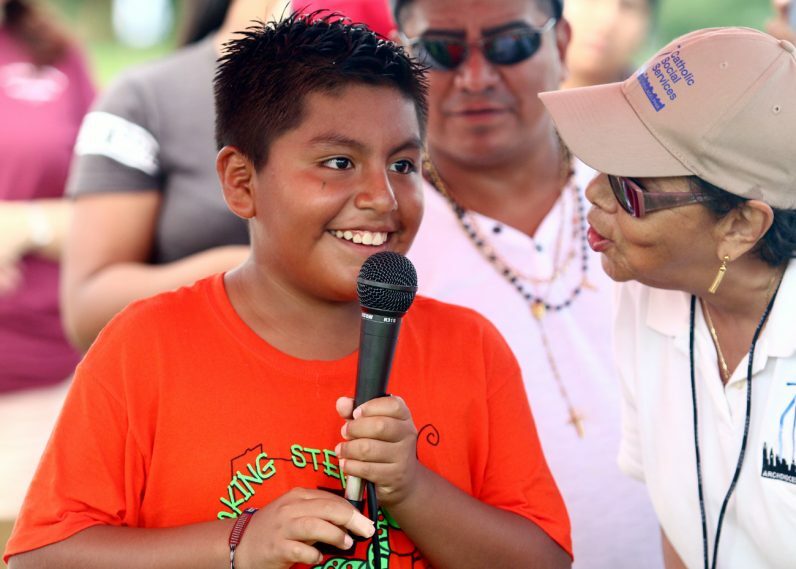 The games were part of a family fun day sponsored by the parish, archdiocesan Catholic Social Services, and the Catholic Campaign for Human Development. 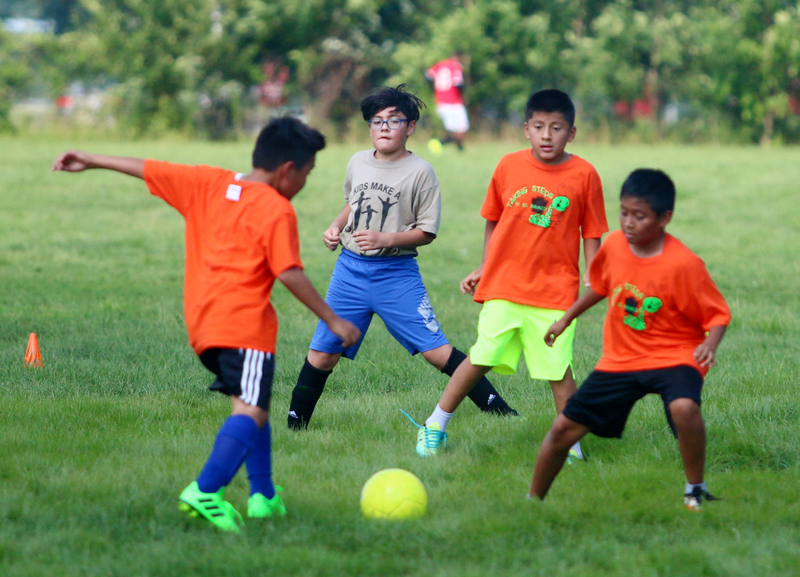 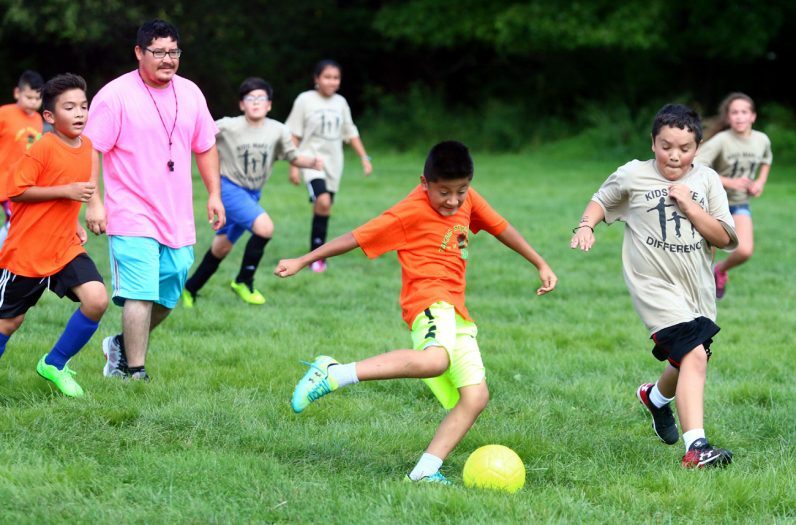 Jonathan shares his experiences during a six-week soccer camp that concluded with an Aug. 26 tournament at St. Charles Borromeo Parish, Bensalem. 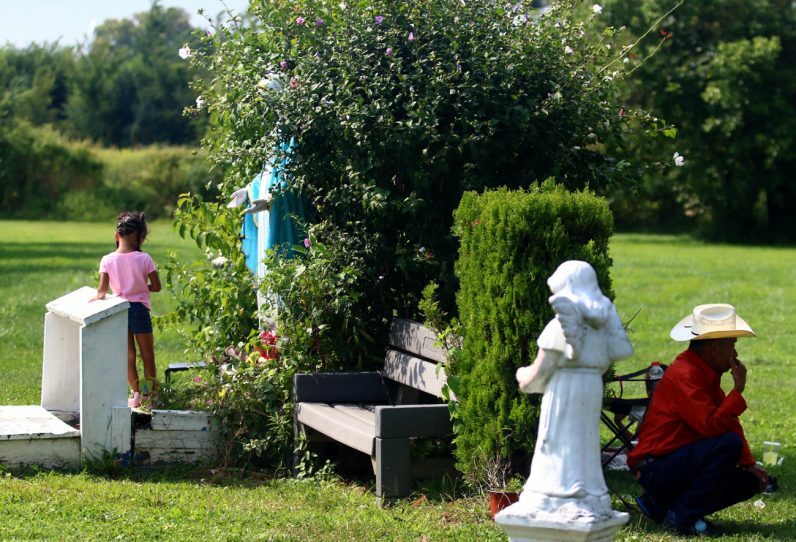 Children help clean up after the family fun day. 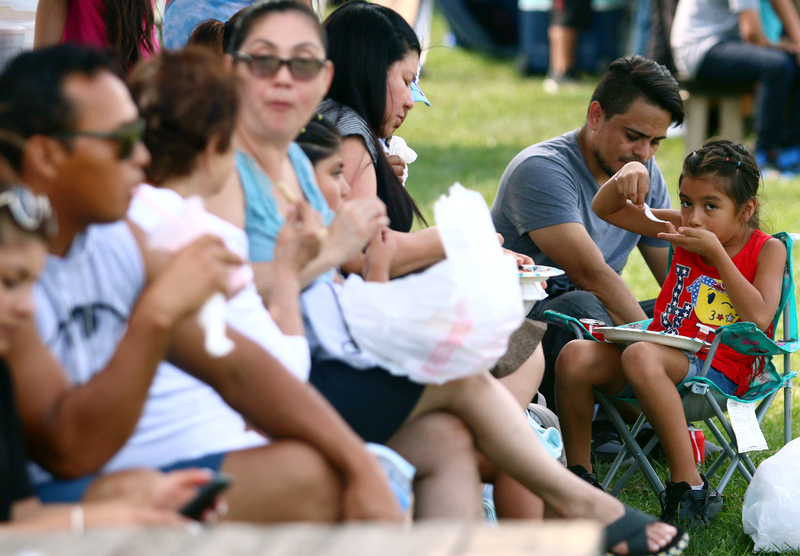 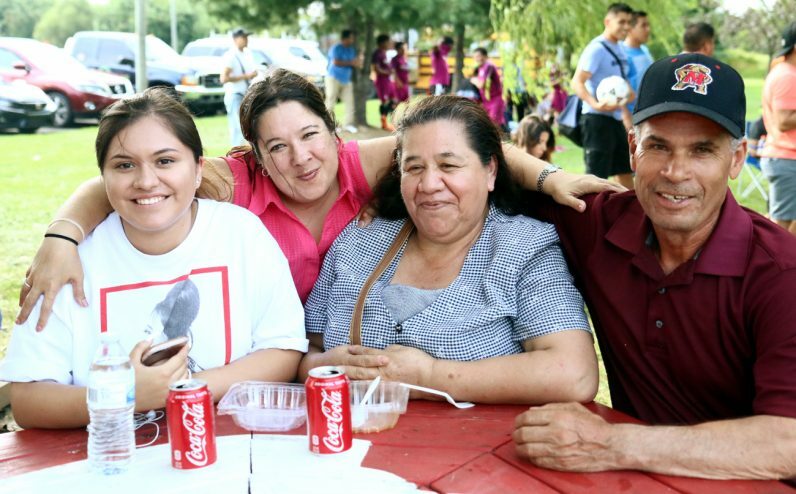 From left, Mariana Herrera-Ruiz, Danilda Santiago, Sofia Ruiz and Jose Herrera relax during family fun day Aug. 26 at St. Charles Borromeo Parish, Bensalem. 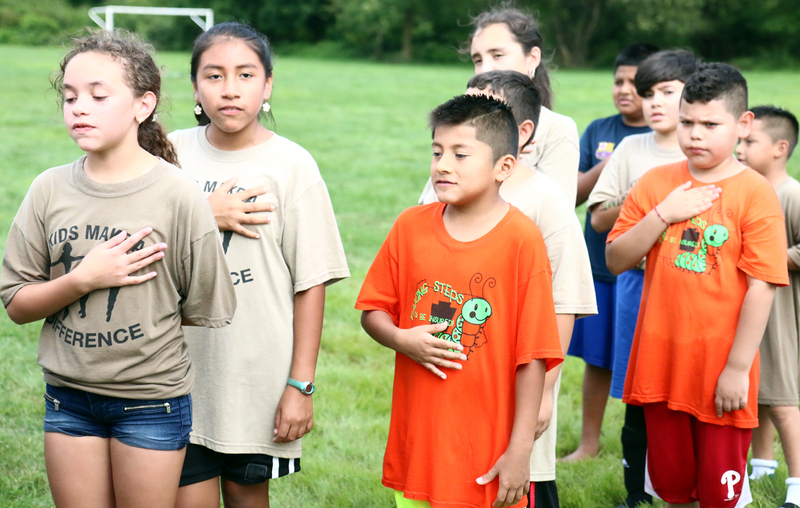 Participants recite the pledge of allegiance before the day’s medal ceremony. 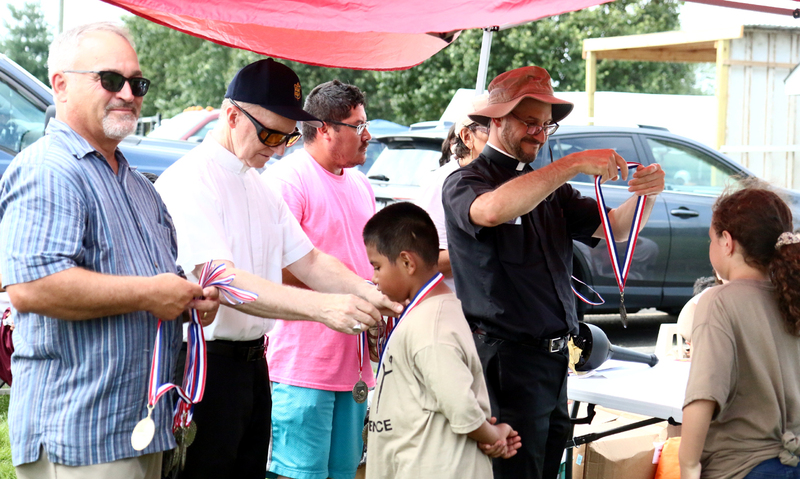 From left, Secretary for Catholic Human Services James Amato, Auxiliary Bishop Edward Deliman and Father Philip Forlano award medals to participants in an Aug. 26 soccer tournament at St. Charles Borromeo Parish, Bensalem. 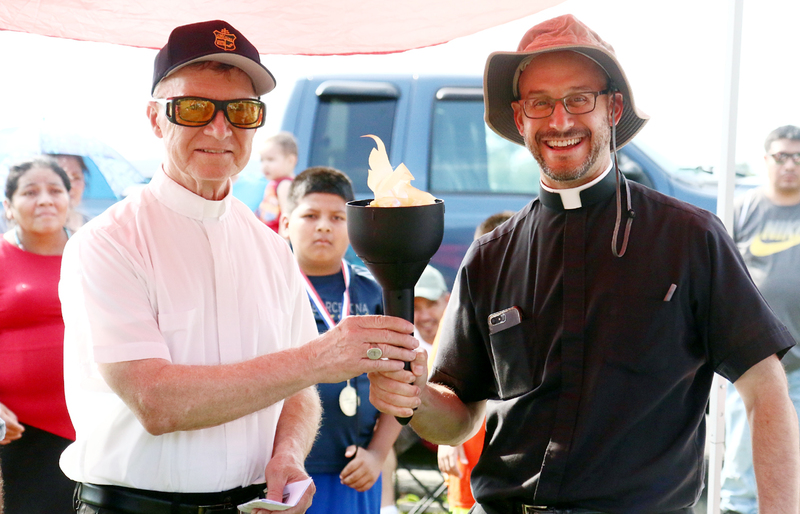 Auxiliary Bishop Edward Deliman (left) passes a torch to Father Philip Forlano, his successor as pastor of St. Charles Borromeo Parish.